Tahmineh was born in 1955, in Gorgan, northern Iran. She studied chemistry at Ferdowsi University of Mashhad. She joined PMOI supporters in her university in 1973 and began her activities in support of the anti-shah movement. She had a nice voice, so she used to be the moderator and announcer in many gatherings of the organization. 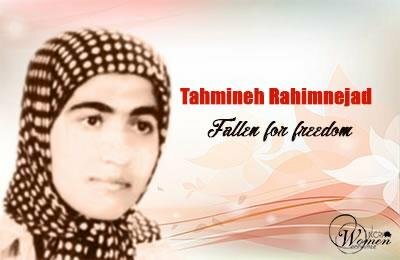 She and her husband both died in the February 8, 1982attack on the PMOI house and left a child behind.